Frances O’Connor the Armless Wonder (September 8, 1914 – January 30, 1932), was sometimes billed as the Living Venus de Milo. Born in Minnesota, Frances was a featured attraction at Coney Island and the traveling Freak City Show in the 1920s. She could play violin with her toes. She would deliberately weaken one string before each performance so that it would snap during her recital, giving her an opportunity to repeat her dexterity. 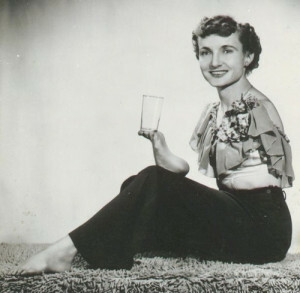 She was also a marksman who could shoot the spots out of a playing card with a rifle operated by her feet.